Attorney Rosen Dimitrov graduated the Law Faculty of Plovdiv University “Paisii Hilendarski” in 2004. He specialized English in Barnet Southgate college, London UK. 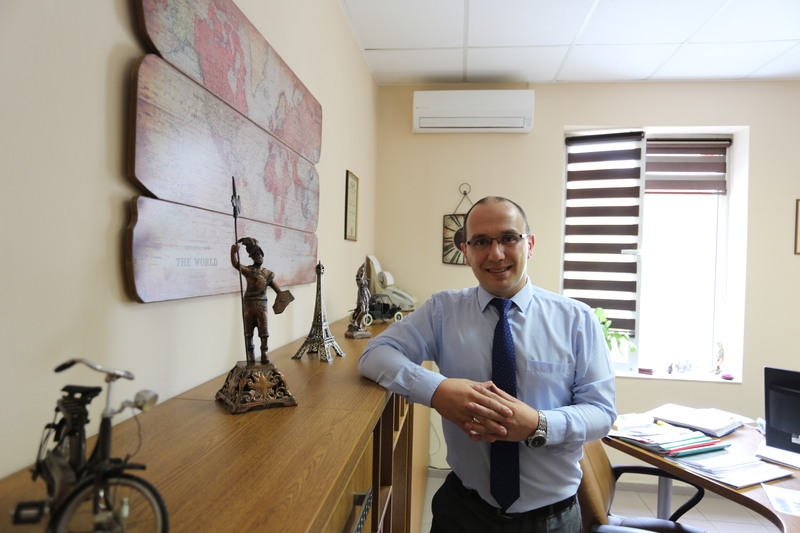 He worked as a legal adviser for companies running business in Bulgaria and abroad. His practice at these companies has been associated with work on various areas of law, for example drafting and consulting of agreements in the field of tourism, inter-company relations, franchising, debt collection, drafting of labour contracts and solving labour disputes. Currently working as a lawyer in Plovdiv, representing clients in litigation, arbitration and enforcement proceedings. He has experience in extrajudicial negotiations, preparation of court settlements and extrajudicial settlements. Offers comprehensive legal services to individuals and legal entities, legal protection and assistance in civil, administrative and criminal cases. The attorneys at the office work closely with other high regarded lawyers in Plovdiv and the country, specialists in civil, criminal and administrative law, command of foreign languages ​​- English and Russian. The firm successfully use the “Online attorney” service, which enables quick and easy serving to customers in Bulgaria and abroad. “Online lawyer” allows full-time working people to provide information and documents without losing valuable time visiting the office several times. This way, by the time of the personal meeting with the lawyer, the specific case is already clarified and the documents are reviewed. Thus the very personal meeting is more useful for the both sides. For different low matters, you can find information on “The blog of Attorney Dimitrov”. Various of articles have been written based on civil and criminal cases from the practice of the law firm.On the website you will find many posts regarding topical,legal issues that concern many lawyers daily. Many people could find the articles interesting and useful. Significant changes in the legislation of Bulgaria are presented, as well as some interesting legal resolutions in other countries. Hope “The Blog of Attorney Dimitrov ” and “Events” can be useful for lawyers and other legal professionals, and for all who are interested in legal matters. If you have any legal questions or need an advice, assistance or representation in court, prosecution, enforcement and other institutions, you can contact us by using the “Online lawyer“.